The Rays' ace overcomes a rough start and hands Boston its sixth loss in seven games. ST. PETERSBURG, Fla. – As good as Matt Moore has been, the Tampa Bay Rays believe he can be even better. The 23-year-old lefty pitched six strong innings and beat the Boston Red Sox 5-3 Tuesday night to remain undefeated and claim a share of the major league lead in victories. “It’s pretty incredible,” Manager Joe Maddon said after Moore (7-0) yielded a double to Dustin Pedroia and a three-run homer to David Ortiz in the first, then limited the struggling Red Sox to one hit over the next five innings. Moore, who’s in his second full season in the majors, walked two and struck out eight. He also tied Washington’s Jordan Zimmerman for the major league lead in victories, became the first Tampa Bay starter to begin a season 7-0 and tied a club record by winning his eighth straight decision dating to September. “The first inning wasn’t as heartbreaking as you would think it would be just because of the way we’ve been swinging the bats,” Moore said. 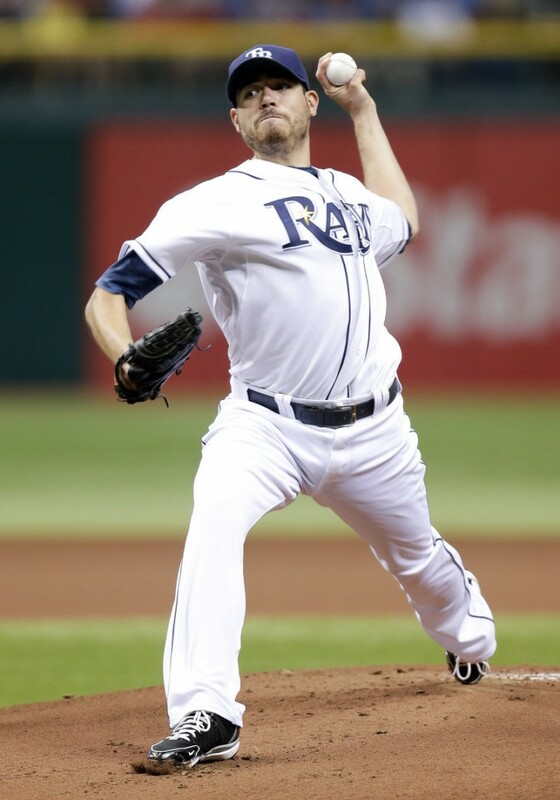 The Rays overcame the early deficit with a five-run fourth off John Lackey (1-4). Jose Molina and Matt Joyce each drove in two runs in the inning, helping Tampa Bay extend its winning streak to a season-high six games. Boston has lost six of seven, including three straight. The Red Sox dropped to 4-9 in May after going a major league-best 18-8 in April. Ortiz’s homer was his fifth this season and 27th of his career at Tropicana Field, the most by any opposing player. The designated hitter’s 67 RBI at the Trop are second to Manny Ramirez’s 72. Moore settled after the home run to retire 12 in a row until Stephen Drew doubled off the right field wall with one out in the fifth for Boston’s third hit. Lackey breezed through the first two innings before working through a tight spot in third, when Tampa Bay loaded the bases with two outs but did not score. The Red Sox weren’t as fortunate during a fourth inning in which the Rays turned five singles and Luke Scott’s RBI double into five runs. Molina’s two-run single made it 3-3, and Boston first baseman Mike Napoli misjudged a Joyce’s infield pop fly that dropped for a two-run single and gave Moore a 5-3 lead. “That was an odd inning to say the least,” Red Sox Manager John Farrell said. 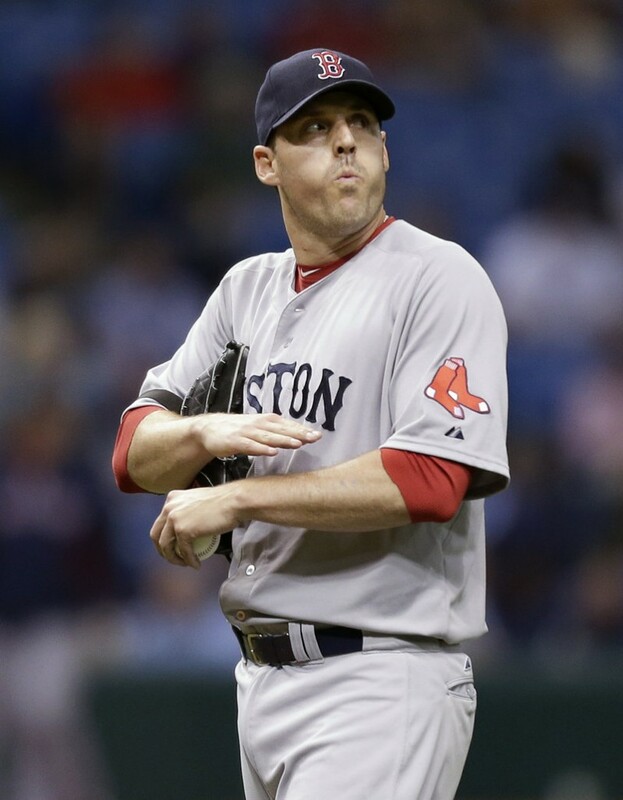 Lackey, making his 299th career start and 300th major league appearance overall, lost his third straight decision.